This book presents a historical account of plantations in India in the context of the modern world economy. It brings history up to the present, thereby showing how history can assist in explaining contemporary conditions and trends. The author focuses on labour and economic development problems and uses the World Systems theory so as to demonstrate the practical utility of the theory and its limitations as a guide to historical research. 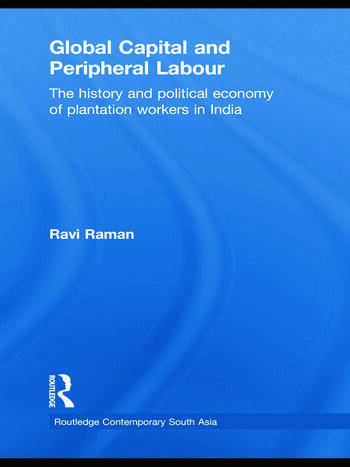 Based on extensive archival research, the book interprets the dynamics of plantation capitalism by focusing on the work, life and struggle of the dalits on plantations in colonial and post-colonial South India as they evolved from the mid-19th century. It argues that these elements of the plantation life-world were fashioned by the specific characteristics of the workers' location within the capitalist world-economy, the then prevailing local social structure and the scheme of disciplining to which the workers were subjected to. Treating the relations among various social forces – the planting communities, the oppressed communities (dalits in India), the regional and national state, and the Imperial regime, this book fills a gap in academic literature on capitalism, economic development, and globalization. K. Ravi Raman is a labour historian and political economist currently based at the Department of Social Anthropology, University of Manchester, UK. He formerly held the Hallsworth Research Fellowship in the same department (2005-08) and the South Asia Visiting fellowship at the Queen Elizabeth House, Oxford (1999), and is the editor of Development, Democracy and the State, Routledge, forthcoming 2010.